(17/P45) TRENTON – Island Beach State Park, the jewel of New Jersey’s State Park System, will give visitors an opportunity to watch the release of young diamondback turtles into their natural habitat, as well as other youth-oriented environmental activities during Ocean Fun Day on Saturday, May 20. This year’s 14th annual Ocean Fun Days are scheduled from 11 a.m. to 3 p.m. May 20 at Island Beach State Park in Ocean County, and on Sunday, May 21 at the New Jersey Sea Grant Consortium’s headquarters in the historic Fort Hancock section of Sandy Hook in Monmouth County. Admission and parking are free. A free shuttle bus will be available at both parks to take visitors to tour sites. Ocean Fun Day events encourage visitors to enjoy a day outdoors while learning about New Jersey’s coastal ecosystem through educational displays, nature tours and interactive programs that include seining, crafts, a scavenger hunt, touch tanks, youth fishing clinics and more. 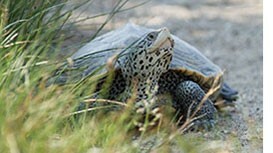 The diamondback terrapin release is new this year at Island Beach State Park. Events at Island Beach State Park will be at Ocean Bathing Area 1, which is about four miles past the park’s gatehouse. The turtle release will be done by students and faculty from Project Terrapin and the Marine Academy of Technology and Environmental Science (MATES). The Sandy Hook event will include guided tours of Sandy Hook sites and an open house at the National Oceanic and Atmospheric Administration/James J. Howard Marine Sciences Laboratory. Both sites will also offer a program on how to build a better sand castle by understanding the science behind cohesion, adhesion and surface tension. Island Beach State Park is one of the few remaining undeveloped barrier beaches on the north Atlantic coast. 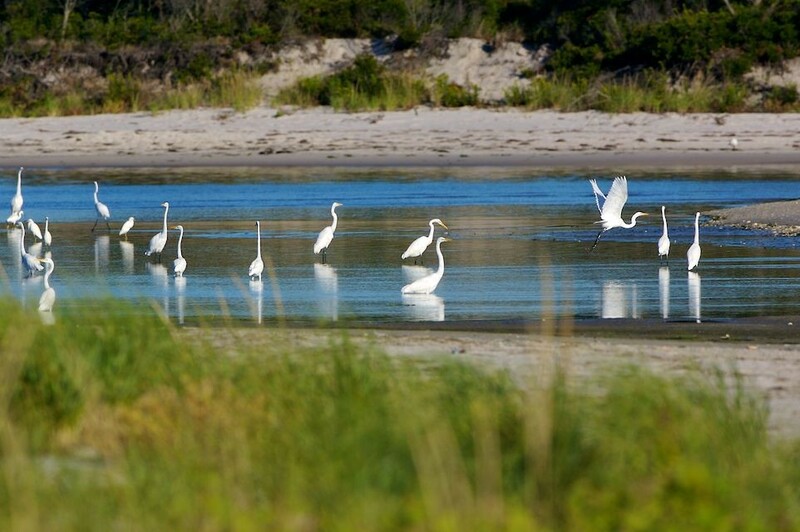 With approximately 3,000 acres of beaches, dunes, maritime forests, freshwater wetlands and tidal marshes, the park is home to the state’s largest osprey colony, as well as peregrine falcons, wading birds, shorebirds, waterfowl and songbirds. Ocean Fun Days is presented by founding sponsor New Jersey Natural Gas, in partnership with the New Jersey Department of Environmental Protection, New Jersey Sea Grant Consortium, Asbury Park Press, New Jersey Division of Parks and Forestry, National Park Service and NOAA.